Murray and I feel incredibly lucky to have agreement from so many amazing Canadian musicians to be a part of our roster – http://choirnation.ca/artists/ For me personally, as a huge music fan, regular concert-goer (until becoming a dad in October last year), and someone who can spend hours in music stores looking for new music to add to my 800+ strong CD collection, the opportunity to work alongside so many great musicians is a dream come true. One thing about music I have always loved is putting the right mix of music together whether it be back in the day of mixed tapes, then mixed CDs and now more recently playlists on Spotify. I have spent several very fun hours putting together some of my favourite songs from the artists on our roster. If you have 4 hours and 3 minutes where you don’t know what do exactly, problem solved! We would love to hear your feedback and suggestions for your favourites too! Click here for the link to our playlist. If you like it, you should buy it! We will be appreciative and our roster will be appreciative! Hello, Choir Nation blog readers! Murray Foster here, CEO and co-founder (along with the unredoubtable Todd Green) of Choir Nation. Busy days these days at Choir Nation Headquarters. We’re always approaching new artists to add to our roster, and we’re thrilled that Elliott Brood, Peter Katz and Wayne Peti (Cuff the Duke) have all recently agreed to come on board. We’ve also added a new Emerging Artists section to our roster – part of our mandate is to create a new revenue stream for musicians, and there are dozens of amazing new emerging musicians who we are thrilled to partner with. For now, our first three emerging artists are Katey Gatta, Sarah Siddiqui, and Laura Tremblay. But what has been taking up the bulk of our time is preparing for our first Choir Nation Benefit Concert, on Tuesday, August 16th at Lula Lounge. This event is designed to benefit our three music charity partners: MusiCounts, Unison Benevolent Fund and Momentum Choir. It will also serve as our unofficial launch party, as it’s the first event we’ve hosted. At the event, there will be two choirs performing that night with musicians: one made up of KPMG employees and one of Chubb Insurance employees. We’re thrilled to have these companies involved, and from what we understand these employees are excited to be part of the event and singing in a choir, many of them for the first time. The night will also feature a raffle and a silent auction, and we’ve already been able to put together a great list of items, including Blue Rodeo tickets, brewery tours, tickets to the CNE, and even a signed guitar donated by Long and McQuade (we haven’t actually figured out who’s gonna sign it, but it’ll be someone cool). Todd and I are both passionate about music, and we see Choir Nation and this benefit as an extension of that passion – creating new opportunities for people to sing in a choir, supporting local musicians, and contributing to three music-related charities that we both strongly believe in. The focus of Choir Nation is team building, and we’re pretty happy to be able to offer companies a team building option that is, we think, quite cool. We hope that you do too – and that we see you at Lula Lounge on August 16th. As Murray and I developed the concept behind Choir Nation, we knew the importance of finding Music Directors who would bring the right blend of professionalism, enthusiasm and fun to our clients’ rehearsals and performances. Not only that, but our music directors also arrange the songs that our choirs (along with their accompanying artist) select. 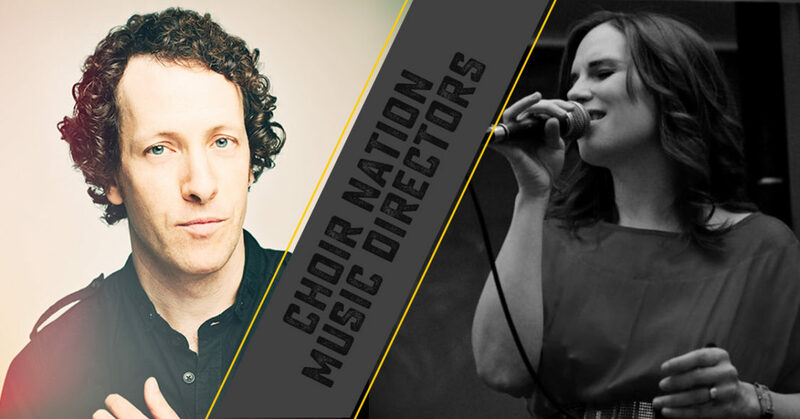 Music Directors have a huge role to play in Choir Nation, and we are thrilled to have our five incredibly talented music directors: Mike Evin (@MikeEvin), Robbie Grunwald (@rgrunwal), Sarah Jerrom (@sarahjerrom), Alex Smaras (@ofSamaras) and Jacqueline Teh (@JacqTeh). This group of MDs brings a wealth of experience to the job, including arranging, songwriting, performing and directing choirs. Read our Choir Nation music director bios. Rather than us telling you about what you can expect from our music directors, we went straight to the source to ask them about why Choir Nation is a fit for them, and what you can expect from rehearsals. “I’m really struck by the concept of choral singing as a corporate team building tool. Singing is a powerful enrichment of life and choral singing brings individuals together in a unique musical experience, as a team. Exposure to choral singing through Choir Nation will uplift individual employees, cultivate culture in and of the company itself and enrich culture the surrounding communities (as exposure to the arts always does). Our music directors are just one unique way that Choir Nation works with companies to create a fun and inspirational team building experience for their employees! Choir Nation Announces First Wave of Artists! We have some very exciting news to share with you all about our first wave of artists! Firstly, as a huge fan of Canadian musicians, it has been incredibly rewarding to have such a positive and enthusiastic response from a wide variety of Canadian musicians. I have either seen many of these artists play live, own their albums, or in many cases, both. The artists have been selected based on a number of criteria including prior Juno winners/nominees, regional award winners/nominees such as East Coast Music Awards (ECMA), SOCAN songwriting awards and extensive back catalogues from which to draw upon for Choir Nation concerts. 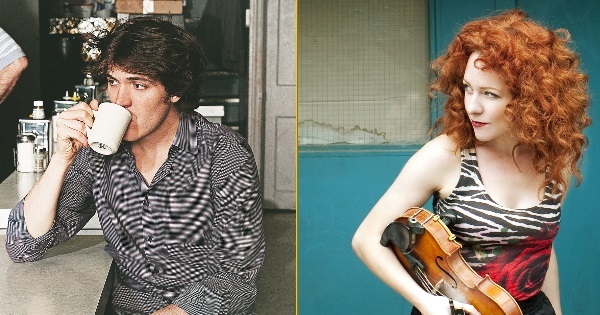 We can’t wait to pair these amazing Canadian musicians with our clients and their employees! We will be updating our website shortly with bios and photos of these artists but in the meantime, please have a look at their websites.